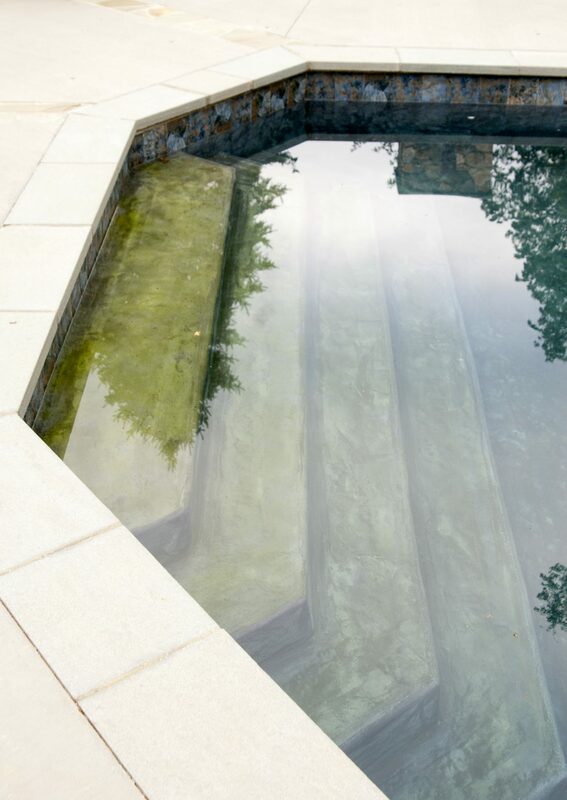 Below are some photos of another residential pool design we completed. 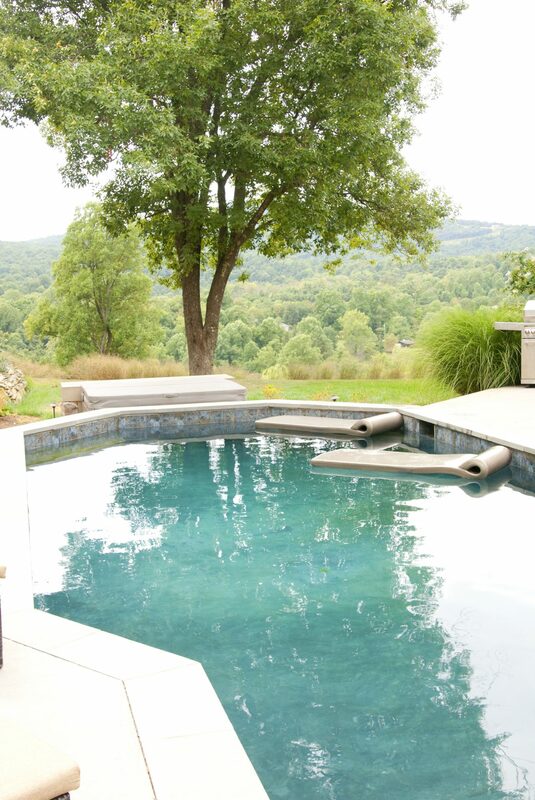 This pool was done on a hillside overlooking the Shenandoah Valley. Great location! 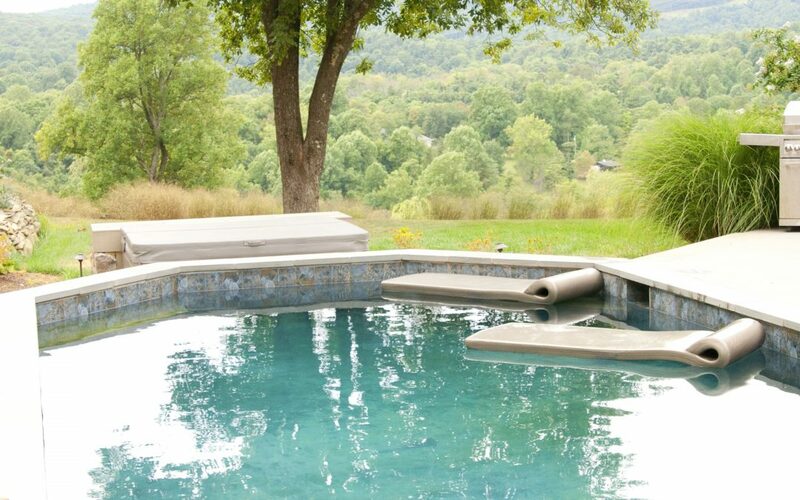 We took advantage of the view and oriented everything to work with it. 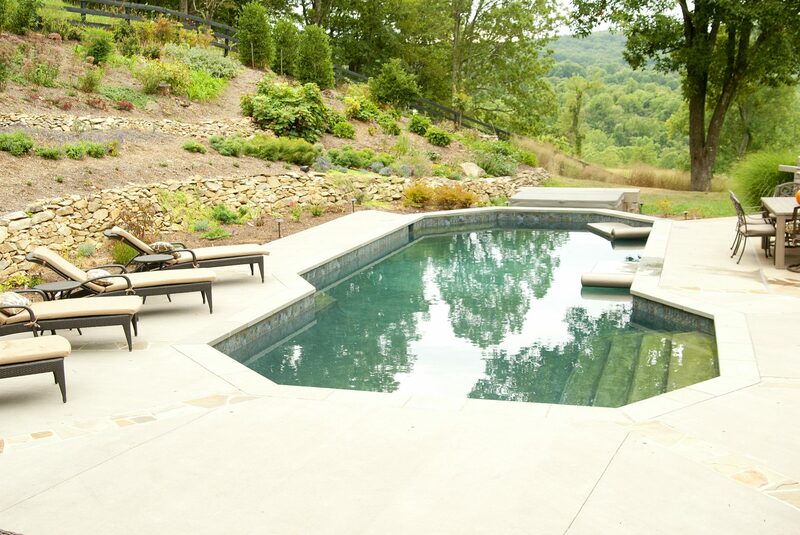 When considering a major outdoor renovation like adding a pool, it’s crucial to consider the natural surrounds and land layout surrounding the area prior to execution. 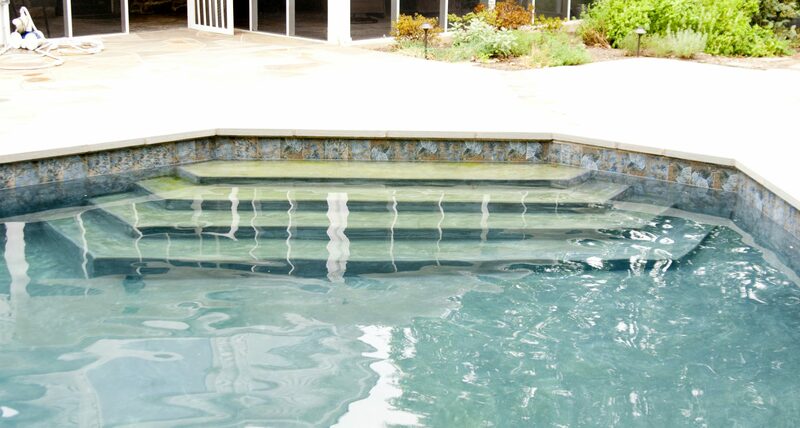 You want to work with the elements presented and design a plan that will flow seamlessly into the existing structure. This project was a good example of how tricky grading a poll could be when set below a hill. A perennial garden was also in the works for the following season so we had to ensure the drainage worked with the design as well.